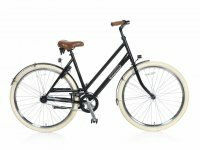 Dutch bicycle wholesale supplies genuine high quality Dutch bikes to the UK market. We only sell B2B through a network of selected resellers. Our resellers have the option to sell bikes to their customers without needing a stock through dropshipping. This is especially a good option for internet-based companies. 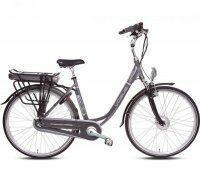 We are able to provide bicycle shops with a wide range of bikes within just a few days. If you are interested in becoming a reseller please feel free to register and gain access to the full shop. Popal Daily Dutch Basic + 28"
Popal Country Roll + 28"